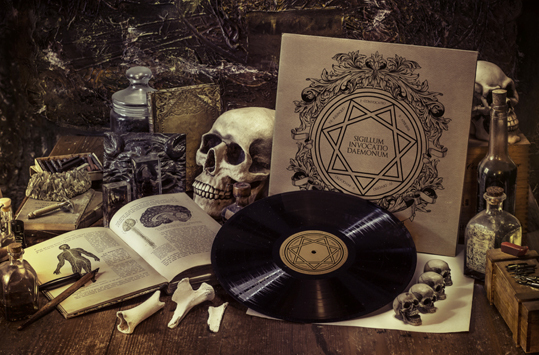 A bad witch's blog: Would You Brave the Test for an Occult Music Album? Would You Brave the Test for an Occult Music Album? This album is so difficult to obtain that you must pass a test to listen to it. The reason: it's about black magic. "This is the only piece of art that chooses its users" - Prometheus L.
The mysterious Prometheus L. is the author of the opera inside a website about black magic, written under a trance state. It is is possible to have Sigillum Invocatio Daemoni for free, but only if you deserve it. Being a powerful instrument of communication with daemonic forces, finalised for hi-level ritualistic purposes, the opera needs a prior knowledge to be used, splitting the real initiates who need it from the normal people. In the era of Spotify and YouTube, the world is accustomed to have everything with a click, without effort, and without the satisfaction of having to conquer what you desire. So, Sigillum Invocatio Daemoni overturns the paradigm of a too easy way to have music, giving the way to the people who dig in the mysterious dark side of the web to accomplish the test about occult and esoteric themes, and find if they deserve the album for free.